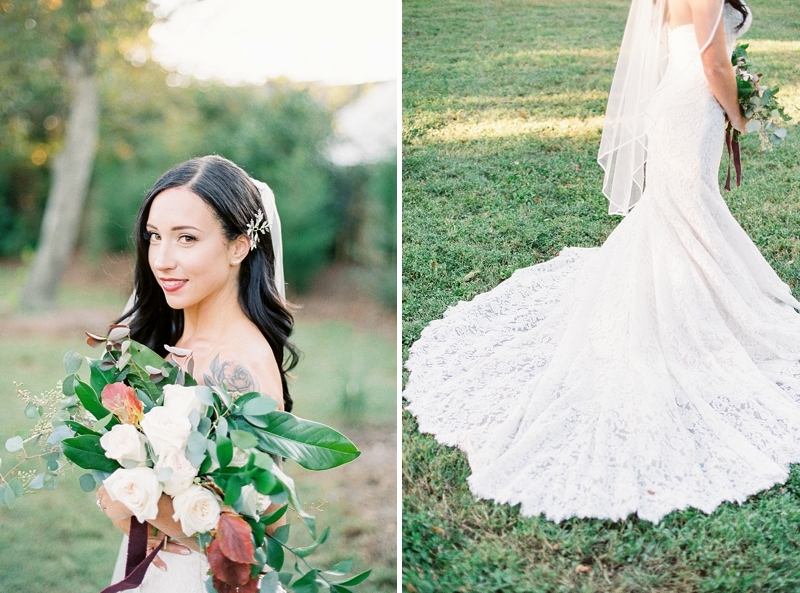 In a fit and flare lace wedding gown with a scalloped sweetheart neckline and a chapel length train, Morgan partook in the Southern wedding tradition of bridal portraits at the Chesapeake Arboretum. 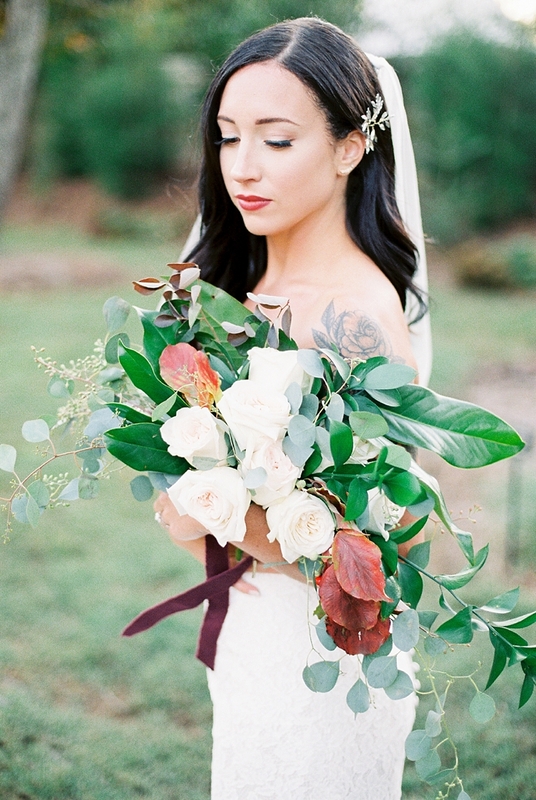 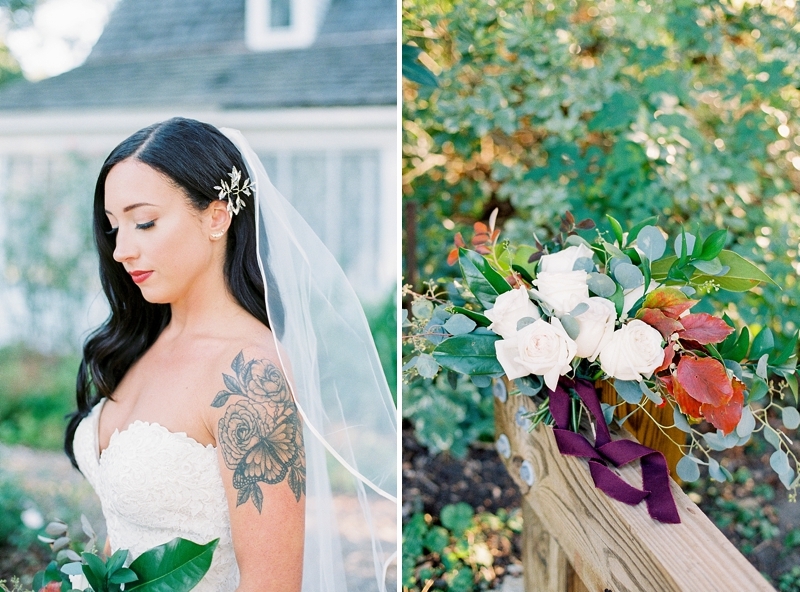 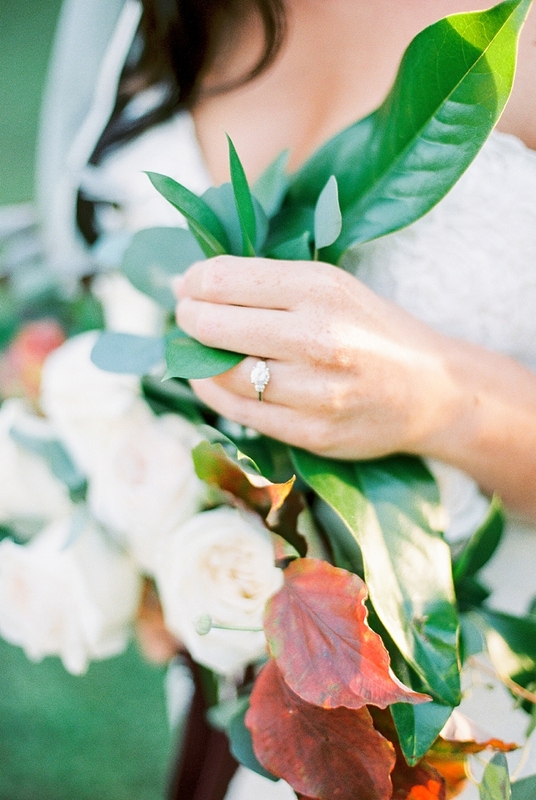 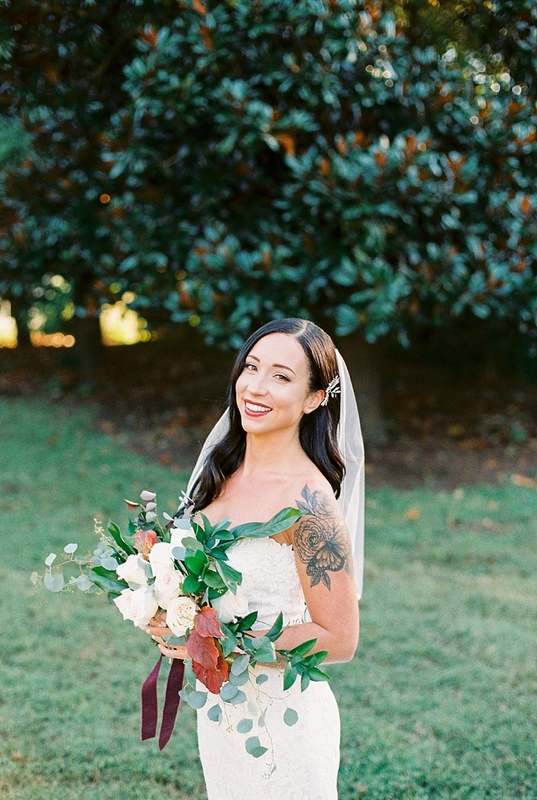 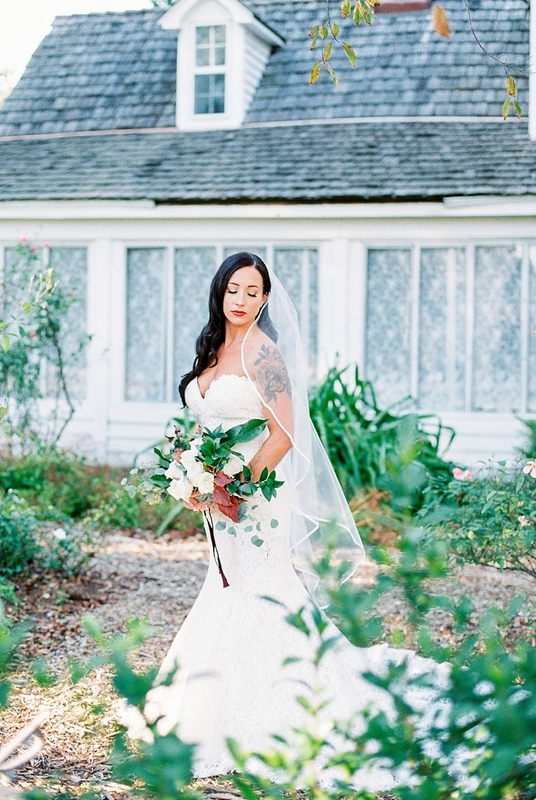 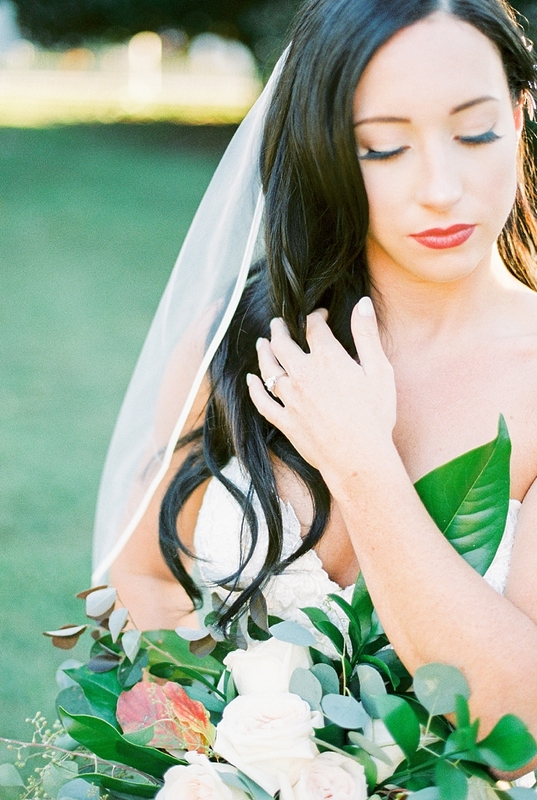 Inspired by the beauty of the outdoors, Abbey Leigh Photography led this lovely bride around the most perfect garden settings to complement her effortless style and glowing personality. 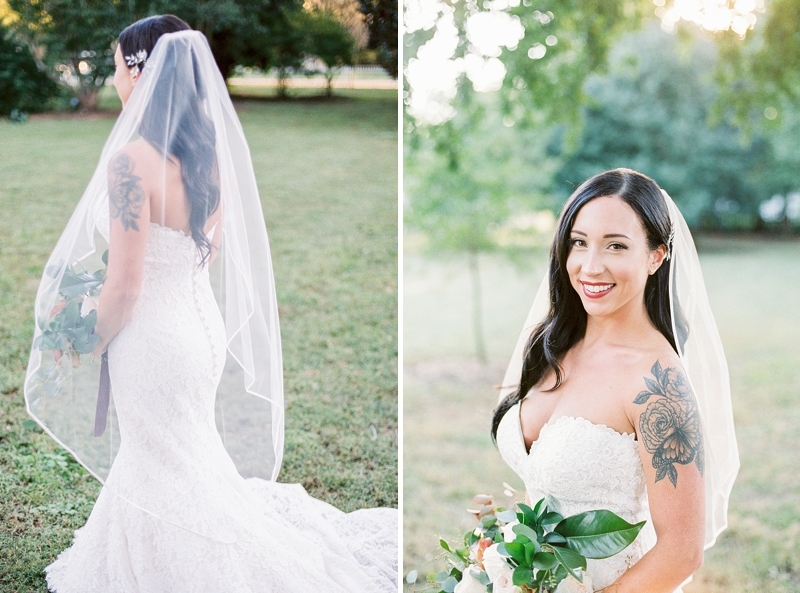 We especially loved her arm tattoo drawn with butterfly and roses that seemed to be right at home surrounded by all of the greenery! 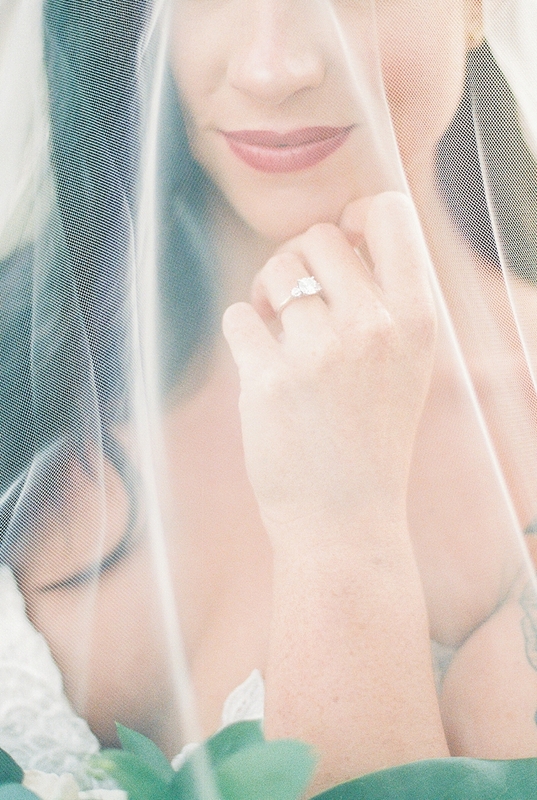 To tie in her classic modern attire with a family connection, there's nothing more special than an engagement ring, and Morgan's solitaire nestled between two smaller diamonds was passed down to her from her grandmother. 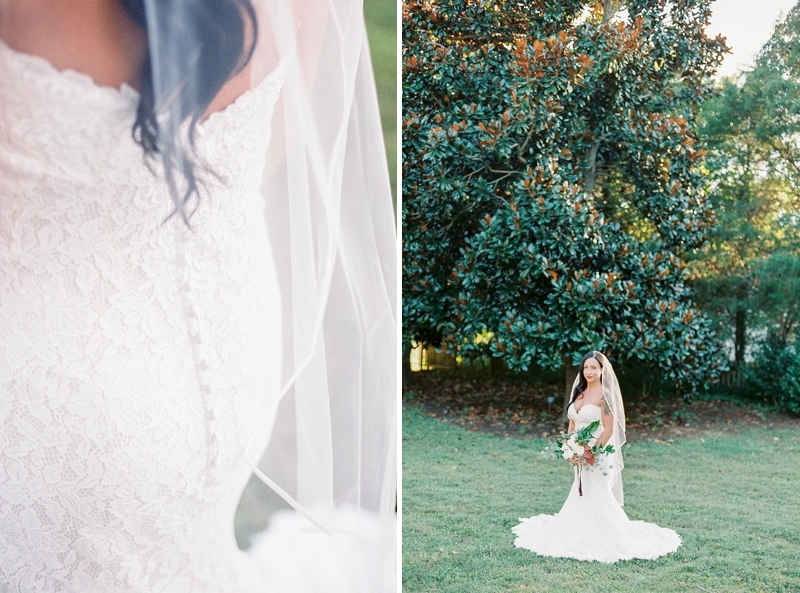 Even though Morgan's grandmother is no longer here in person, her memory lives on through these timeless wedding moments.